Konami today confirmed the existence of a PES 2015 Day One Edition. The PES 2015 Day One Edition was already rumored to exist following a leak from the Spanish GAME catalogue and now Konami finally revealed the special pre-order edition and all features it includes. These are the features of the PES 2015 Day One Edition, which is available to everyone pre-ordering the game. 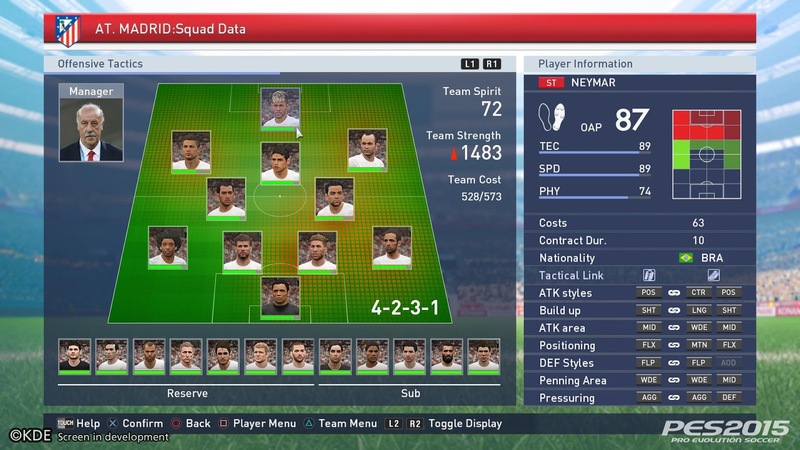 The PES 2015 Day One Edition features exclusive content for the new PES 2015 MyClub mode: this includes 10,000 MyClub game points, 10 recovery items, to improve the fitness of your squad and one randomly picked player from the UEFA team of the year, which is voted by more than 5 million UEFA.com users. Also check out today's other PES 2015 PES 2015 news: new ingame screenshots.